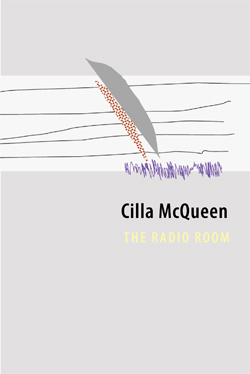 After hearing Cilla McQueen read ‘Ripples’ at The City Gallery recently, I have been engrossed in The Radio Room. Her use of form is both meticulous and playful and there are several pantoums in this collection, highlighting this scope. My favourite is ‘Mining Lament’ where the repetition really does echo lamentations. The lines “Remains of the hill the painter saw” and the images of “rutted clay”; “stubborn relic” and repeated harsh verbs (“sluice”!) contrast so perfectly with the “rounded hill of golden ore” that, although the poem is ekphrasis of an 1870s Aubrey painting, it is so alive with destruction and resulting desolation. McQueen proves she is a craftswoman and an artist in this collection. Her ability to move smoothly from one form to another without ever sounding forced or lost provides the reader with security and trust as we travel space and time – from the Fouveaux Strait to Ynys Elen. The many references to other artists and poets – Hone Tuwhare appears in moments of reflection and humour – confirm McQueen’s status as both brilliant and very human. Nice review. Been meaning to check out her book. Thanks Mary and Mark. Yes do check it out if you get the chance!